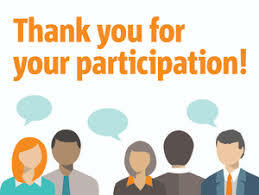 Thank you for visiting Morrow County Health District on the web. We hope to provide you a great deal of information through our on-line presence. Here you will find all the information pertaining to the Health District, including our services and activities. The form can be found under the “Forms” tab then Administrative. It must be submitted 72 hours prior to the meeting. Mt. Gilead, Ohio – [03/26/2019] –The Morrow County Community Partners including the Morrow County hospital, Morrow County Health District, Delaware-Morrow Mental Health and Recovery Board, schools, and many other agencies will continue to survey Morrow County residents as part of a community health assessment process. For more information, please click here. For the first time in U.S. history Americans are more likely to die from an opioid overdose than a motor vehicle crash. A new report from the National Safety Council found that Americans have a 1 in 96 chance of dying from an opioid overdose, while the probability of dying in a motor vehicle crash is 1 in 103. The rising rates of overdoses is part of an overall trend of a Americans dying from preventable, unintentional injuries that has increased over the past 15 years. This program ensures the community does not experience disease as a result of poorly treated water or sewage. Through visits and inspections sanitarians ensure the proper functioning of equipment. Environmental Health staff inspect food service operations that provide food to the public. MCHD is the food protection services for the county and responsible for inspection and licensing of all food facilities. Now open every Wednesday. The clinic can provide annual exams, confidential STI testing, pregnancy testing, prescription birth control, condoms, education and other needed resources. Birth and Death certificated can be obtained through the Health District. Please bring all necessary items to the health district with you along with $26 for the processing fee. Are you aware of the health status of your local community? Community partners have worked hard to improve the quality of life for Morrow County residents, click here for details. The Morrow County Medical Reserve Corps is a volunteer group for medical and non-medical professionals. Contact us to see how you can become a part of improving your community. Nursing, vital records, project dawn, immunization clinic, food inspection, plumbing, parks and campground, swimming pool forms may be found here. Keeping Morrow County clean and beautiful starts with you. Report nuisance complains to our Division of Environmental Health and they will follow up on you complaint. after hours, please call 567-231-9740.